Romance and non-fiction author Michelle McLean is a jeans and t-shirt kind of girl who is addicted to chocolate and Goldfish crackers and spent most of her formative years with her nose in a book. She has a B.S. in History, a M.A. in English, loves history and romance and enjoys spending her time combining the two in her novels. When Michelle's not editing, reading, or chasing her kids around, she can usually be found in a quiet corner working on her next book. She resides in PA with her husband and two children, an insanely hyper dog, and three very spoiled cats. 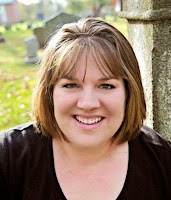 She also writes contemporary romance as USA Today bestselling author Kira Archer. Sorcha Campbell and Malcolm MacGregor were forced to marry in order to stop the centuries-long feud between their clans. As life-long enemies, they do not begin their marriage trusting each other. But as they slowly get to know one another, they begin to realize their suspicions may be misplaced. 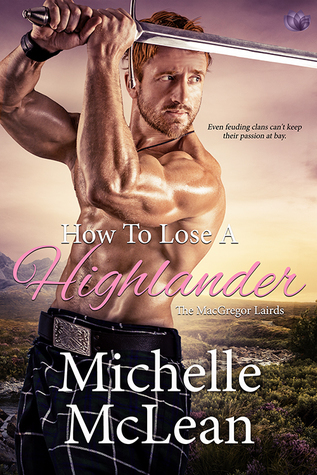 Check out Sorcha and Malcolm's love story in How to Lose a Highlander. Forced into marriage by their king in order to stop years of inter-clan feuding, Sorcha Campbell and Malcolm MacGregor are each determined to drive the other away. Malcolm knows he can never trust his new shrewish wife, despite the fact that everything he observes seems to prove that she’s not only trustworthy, but utterly perfect for him. Sorcha knows she can never let her guard down around the man she believes betrayed her father, yet the longer she’s with him, the more she discovers he is nothing like she was led to believe. They’ll have to fight their way through past prejudices and their own determination to destroy their union in order to gain their perfect HEA in this Taming of the Shrew meets How to Lose a Guy in 10 Days tale. Please leave a comment or question for the author. Please fill out the Rafflecopter form to enter. Special thanks to Michelle McLean for sponsoring this giveaway. I love enemies to lovers stories! Can’t wait to read the book. I'm hooked. Can't wait to read this book and the series. I love reading about Highlanders. The book sounds great. Thank you for the chance to win your Giveaway. I have really enjoyed this series! 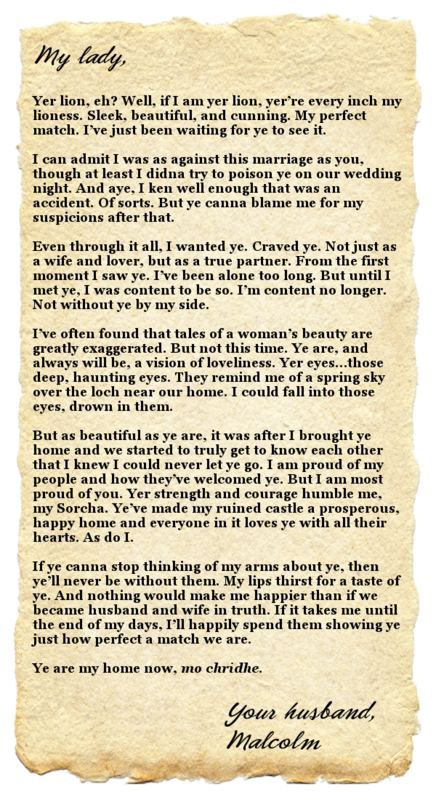 What is better than a braw highlander! What a fun idea for the story! Sounds like a lot good dialog! Hi, How much research do you have to do for each book? Have you gotten to visit the locations that you write about? Great letters. I love an enemies to lovers story. Love these kinds of stories. I enjoy a good enemies-to-lovers romance! 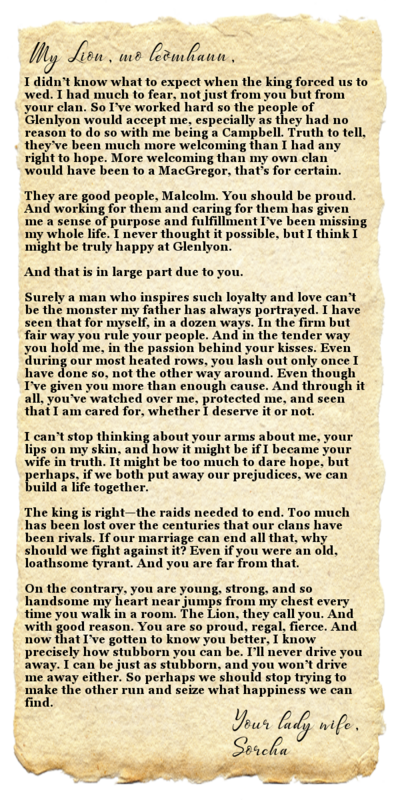 And these are such great love letters!